I saw this recipe on the food channel one Saturday morning. The show was about eating healthy with Ellie Krieger and the recipe looked amazing. 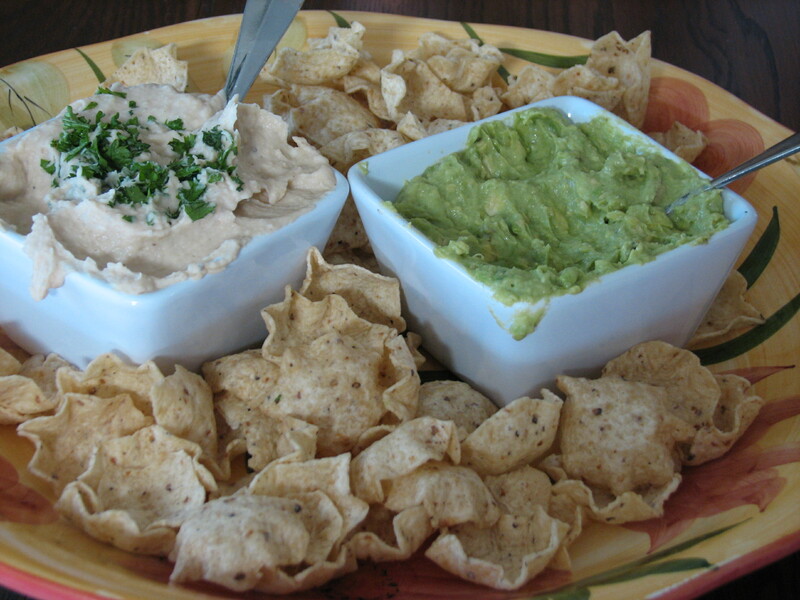 I thought it would be a good Football or card party kind-of-an-appetizer since most appetizers served at events tend to lean very heavy on the calories. I tested the recipe, it was perfect! Loved it and hope you enjoy it as much as I did. Preheat oven to 425 degrees. Pierce the potatoes several times with a fork and rub lightly with olive oil (not the 4 teaspoons in the recipe above – extra). Bake for about 20 to 25 minutes until baked potatoes are cooked thoroughly and tender. Remove from oven and cool completely enough so they are easy to handle. Slice potatoes in half lengthwise. Using a spoon, scoop all but 1/8” of the potato flesh, leave the skin in place. Save the scooped potato flesh for another use (possibly fresh corn and potato chowder).Brush both inside and outside of potatoes with olive oil and sprinkle lightly with salt. Place potatoes, skin-side down and baking sheet until skins are crisp and edges are golden brown, about 20 minutes. While potato skins are cooking, prepare the filling. Steam the chopped broccoli until crisp tender, about 3 to 4 minutes. Drain and set aside. In a non-stick sauté skillet, add the chopped Canadian bacon or turkey bacon and cook until crisp stirring often, about 3 to 4 minutes, put cooked bacon on paper towel to remove excess fat. To make avocado crème, combine scallion (green onions) whites, avocado, sour cream or Greek Yogurt, lime juice, cilantro (or other preferred herb), garlic and salt in a small bowl of a food processor or blender and process on high until smooth. 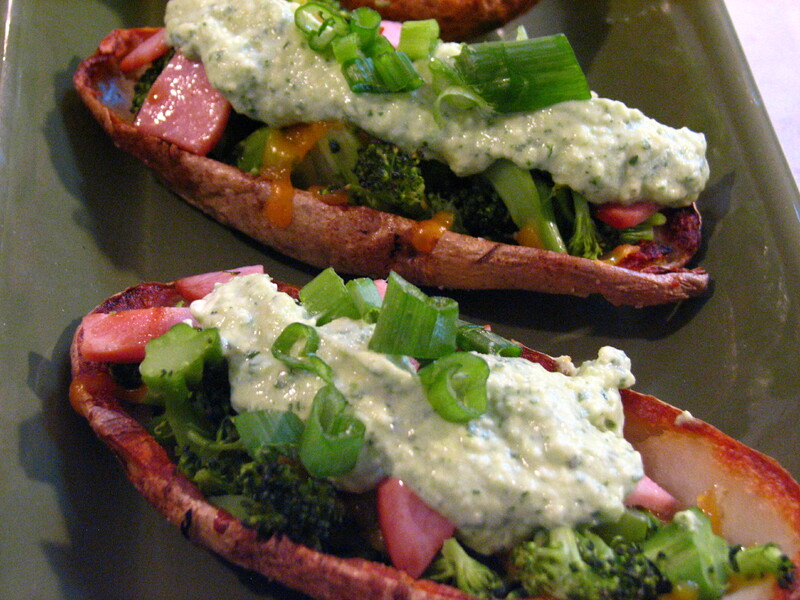 Toss the broccoli with cheese and spoon filling evenly among cooked halved potato skins. Return potatoes to oven and bake until cheese is melted, approximately 5 minutes, Spoon 1 tablespoon of the avocado cream on top of the broccoli-filled potatoes, then top with scallion greens and 1 teaspoon crisped bacon bits. I was hired to cater a workshop event recently and wanted to make macaroni salad that would not spoil sitting out in a warm room. After a lot of researching, I decided to come up with something of my own using different ideas from recipes. I found this tomato relish on Recipezaar and just made minor adjustments to it. I added the tomato relish to the cooked elbow macaroni. It came out fantastic, I was surprised. I have become encouraged to come up with my own recipes because it shows I have really improved as an experimental/healthy/simple home cook in the last year or two. I hope you enjoy this as much as I did. Enjoy! Prepare the tomato relish in the morning if you can. This way the tomatoes have time to marinate with all the other seasonings. Trust me it is worth the wait. Cut the mini Heirloom tomatoes into quarters and put in a glass bowl. Finely mince the red onion. You can use green onions or shallots if you want a milder taste. Add the Balsamic Vinegar, Olive Oil and season with salt and pepper. Mix well. Cover and marinate for about 3 to 4 hours. 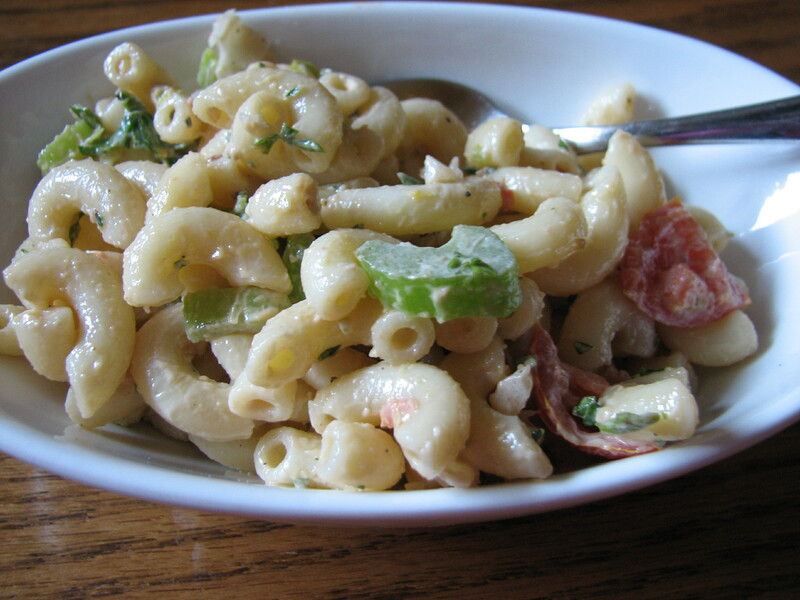 The juices from the tomatoes will develop and this will really flavor the macaroni salad. Cook the elbow macaroni per the package directions. Rinse well and put in a bowl and set aside. Chop 3 stalks of celery and mince the green onions and parsley. Add to the cooked elbow macaroni. Add the tomato relish. Combine all the ingredients before adding the Greek yogurt or mayonnaise. Stir well. Serve with sandwiches or a fresh green salad. There were avocados on sale when I went grocery shopping over the Fourth of July weekend and I thought I would try something different with the avocados. I am a huge fan of guacamole and saw something quick on the food channel about grilling avocados. I decided to experiment and try grilling all my vegetables and created this amazing dip. I am thinking that next time, I will grill a couple of Jalapeno peppers and add it to the dip to give it some pop instead of using Tabasco sauce. This recipe is so delicious! Cut tomatoes, onion, and lemon into thick slices. Cut the avocados in half and remove the seed. Preheat a grill pan or if you are barbequing that day, you can barbeque these items on the grill. Brush all the vegetables lightly with olive oil except for the lemon and the hard green part of the avocado shell. Place the avocado halved side down on the grill along with the sliced onions. Lightly season the sliced onion with salt and pepper. 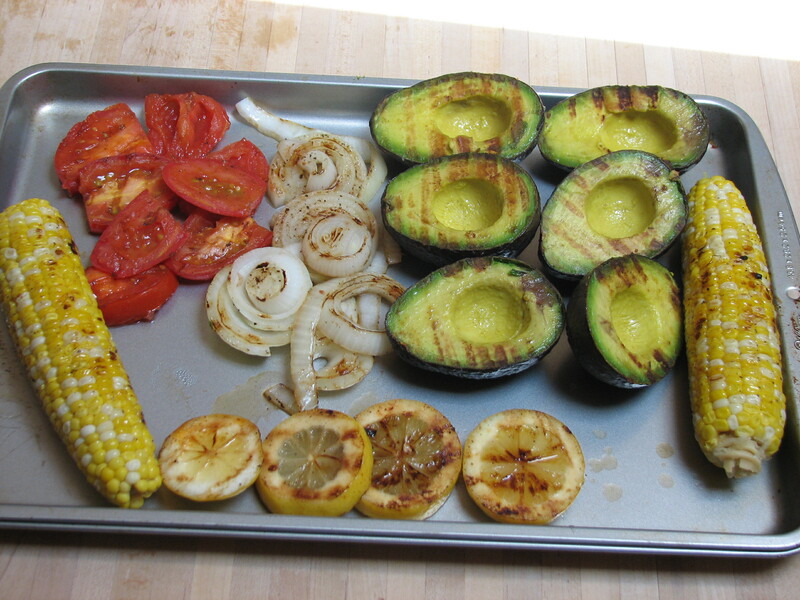 Grill the avocado and onion until you have good grill marks – will be about 4 to 5 minutes for the avocados and maybe 6 to 7 minutes for the onion. Remove from the grill and place the sliced tomato and lemon on the grill. The tomatoes will take no more than a minute and half and the lemon slices about 3 to 4 minutes. Grill the corn on the cob until the corn is light brown all the way around the cob, brush lightly with olive oil and season with salt and pepper. This may take a good ten to fifteen minutes depends on your oven or grill. With a large spoon, gently run the spoon around the avocado shell and remove the inside of the avocado and put in a bowl. Chop into small pieces the grilled onion and place in the bowl. Chop up the grilled tomatoes and put aside. Run a sharp knife down each side of the cob to remove the corn. 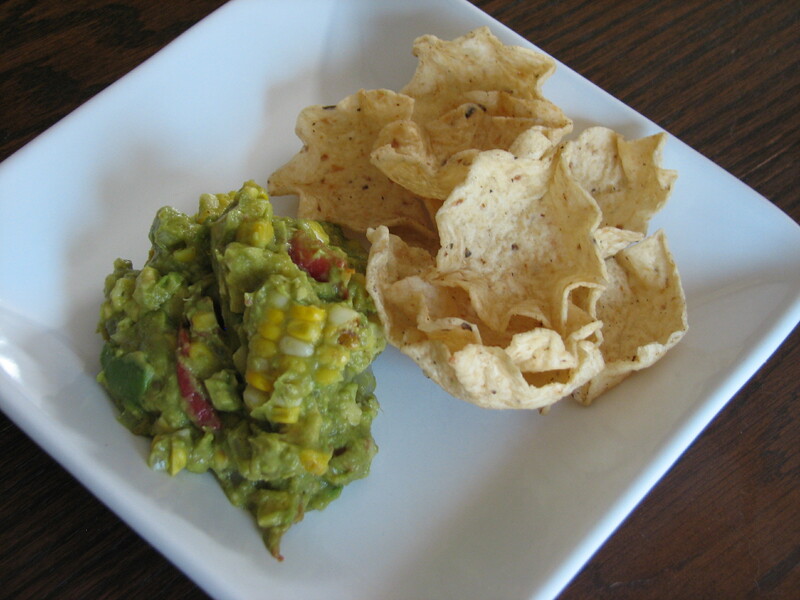 Mash the avocados to the desired consistency you prefer and add the tomatoes and the corn. Squeeze the lemon slices to extract the juices and mix all the ingredients well. Add about 15 to 20 drops of Tabasco sauce and lightly season with salt and pepper. Mix lightly one more time and serve with vegetables, crackers, or chips. Enjoy! I have never had herbed nuts and tasted them for the first time in my life at a friend’s parents home over Thanksgiving and I am just hooked. I love the flavor of roasted nuts with fresh herbs. 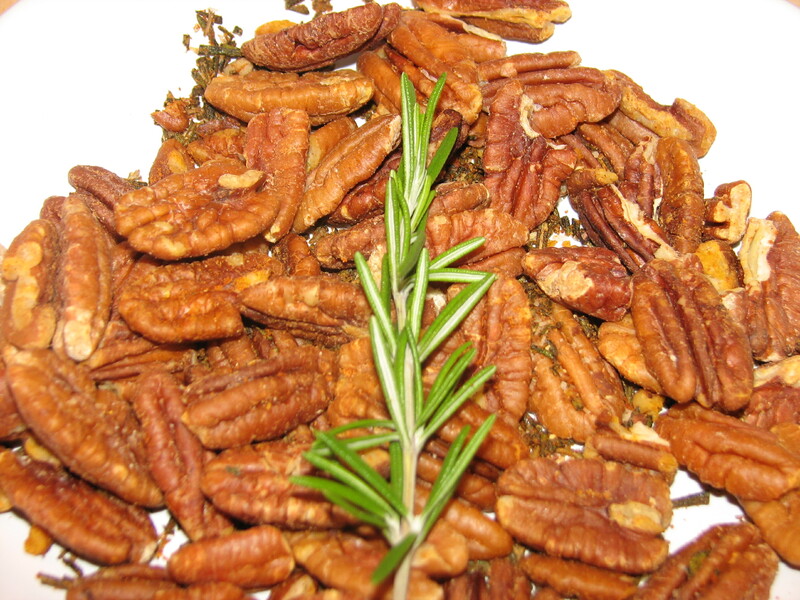 The smell of fresh rosemary tossed with olive oil and fresh pecans in the oven is just incredible! I am hooked. The holiday smell lingers in the house for days after the nuts are roasted. This recipe makes excellent gifts to give away around the holidays. Put in a nice jar with a ribbon on it and bring to friends for gifts. The best part of this recipe is that it is vegetarian, can be vegan, extremely healthy and diabetes friendly. Love it! Melt the butter with olive oil in the microwave for about 15 seconds. Put the pecans in a bowl and pour the melted butter over the nuts. Toss with the chopped rosemary and salt well. Layer on a stone or cookie sheet and roast at 350 degrees for about 20 minutes stirring constantly. Cool and serve. This recipe idea came from a favorite restaurant of mine, located in Rochester Hills, Michigan called Mind, Body, and Spirit. The dish I ordered was called spinach salad with stuffed dates and blue cheese. I kept thinking to myself, blue cheese, bacon, and dates did not sound very appealing and BOY! Was I wrong! The sharpness of the blue cheese, the saltiness of the bacon with the sweetness of the dates just complement each other so well. The restaurant now serves the stuffed dates as an appetizer and I do not have to order the stuff dates there anymore because I found the recipe on-line and make it often at home. Slice the date oblong to remove the seed. Do not cut through the date completely, just enough to remove the seed. Remove the seed and repeat with the rest of the dates. Stuff the dates with ½ teaspoon to 1-1/2 teaspoon of crumbled blue cheese and close the slit up. Wrap a ½ slice of bacon around the stuffed date and secure with a toothpick. Put on a cookie tray or stone and bake at 350 degrees for 20 minutes until the bacon is cooked. Serve warm. Enjoy! I love any kind of hummus and have been experimenting more and more on different varieties of beans and what I can do with them. 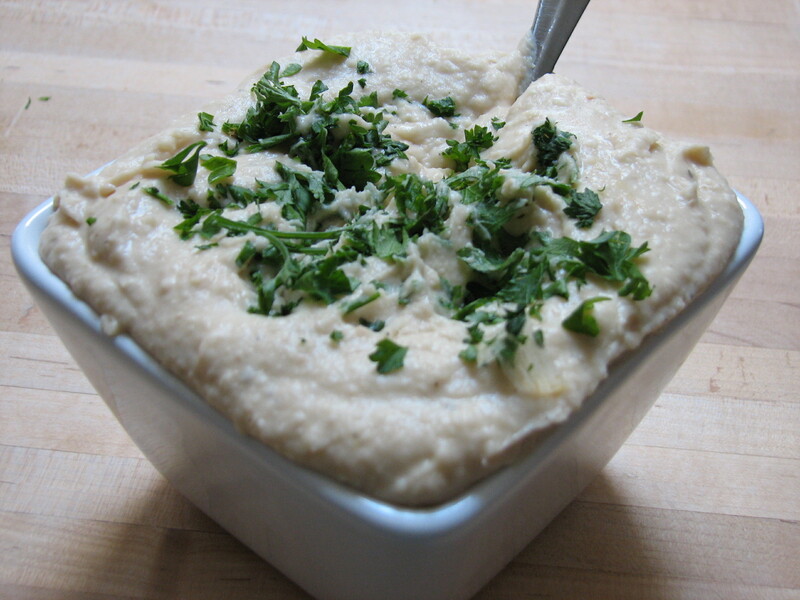 I love hummus made with garbanzo beans or chickpeas and do not get me wrong it is my all time favorite, but I really wanted to try something different. This was inspired by the restaurant California Pizza Kitchen’s Cannellini Bean hummus appetizer but with a different twist. The dip was made on Memorial weekend and got rave reviews from my guests. Now I am excited to try different varieties I might make a hummus with black beans next. Cut the top of the garlic heads off exposing some of the garlic – do not break the garlic apart. In a small stone, place the cut garlic head up and sprinkle with olive oil and season with salt and pepper. Bake the garlic until roasted. You can also do this with aluminum foil, put the exposed garlic in the foil and close up the foil. Bake in the oven at 350 degrees for about 45. Let the garlic cool, and then break the heads apart and squeeze the roasted garlic out of the cloves. This is like pure gold when cooking and flavoring food. The garlic becomes very sweet and has such a nice flavor to compliment the food. In a food processor, put the beans, roasted garlic and olive oil and pulse until smooth. Add salt and pepper to taste. Pulse the beans until you reach the desired consistency or texture you want. Add olive oil as needed. Be careful not to put too much you can always add a little bit at a time but you cannot take out the excess oil once you pour it in the hummus mixture. If you want a little or a lot of kick to the hummus, you can add your favorite hot sauce, again be careful of how much you put in. Serve with toasted French bread, vegetables or your favorite crackers. Enjoy!